Much has been written about the future of work, but many questions remain unanswered. Will robots and machine learning replace a majority of workers across a multitude of sectors in the next decades? How will artificial intelligence replace humans across a wide spectrum of occupations? What kinds of jobs will be needed when today’s middle school students are ready to enter the workforce? With ever-increasing advances in technology, there is one thing we do know. Coding — the process of writing computer programs to analyze data, manage digital systems and operate today’s machinery and consumer products — will become more and more important. In fact, coding has been called the most important job skill of the future. Experts point to the huge number of jobs openings that require coding skills, the high rate of growth in programming jobs and the fact that jobs that require coding skills pay up to $22,000 per year more, on average. In West Virginia, where jobs are desperately needed, we need to do everything within our power to explore coding as an option for our future workforce. Encourage high school students and adults to get trained for STEM occupations, with particular emphasis on computer coding as a career path and a workforce option. Help align existing coding training options and educational programs. Leverage federal training grants that focus on coding. Link with the state Development Office and business groups for outreach and marketing efforts. Examine a partnership with other coding nonprofits to aid skilled individuals with job placement or apprenticeship opportunities. Outline the skills and educational parameters needed to qualify as a baseline coder. Evaluate existing and needed training resources. Encourage participation by public-sector and private-sector employers. Explore new strategies and coordinate with other coding projects and initiatives. One of the first outcomes of this initiative will be to develop industry-accepted parameters regarding the skills and aptitudes needed to qualify as a baseline coder. These likely will cover these key fundamentals: Learn to Code/Programming 101; Front-End Web Developer; Senior Web Developer; and Full Stack Development. This initiative also will get out the word and help promote the range of training options available for interested individuals. These may include classes provided by the state school system, community and technical colleges, universities or free, self-learning coding training courses. In addition, West Virginia’s educational system is providing free, online computer coding courses that are now available to high school students via the state’s Microsoft Imagine Academy. Nonprofit training programs are now offered around the state, including Mined Minds in Clendenin and Charleston, the WV HIVE in Beckley, RCBI in Huntington and Richwood Scientific in Richwood. Another outcome of this initiative will be to assess and quantify a pool of trained coders in West Virginia, whether these individuals complete their training within the state school system, career tech centers, community colleges, universities, nonprofit training efforts or online courses. The current estimate is that approximately 5,000 West Virginians are obtaining base-line training in coding and programming. Specifically, TechConnect’s team will work to analyze and ascertain the annual supply of base-line training programs and certificate/training completions. A key metric will be to interact with employers (private and public sector) to hire trained West Virginians and develop a cost-effective way to identify and recruit individuals for coding jobs. This employer outreach will focus, initially, on key areas of the state such as the Eastern Panhandle, north-central West Virginia, the Charleston-Huntington region, the Beckley-Bluefield area, the Eastern mountains and the Northern Panhandle. Working with the state Department of Commerce/Development Office and other business groups, we want employers to know that West Virginia is producing new workers with today’s high-tech skills and training. Finally, TechConnect’s initiative will intersect with new federal training grants that focus specifically on the high-tech and coding sectors. One federal grant has already been secured — a U.S. Department of Labor TechHire grant. In addition, a number of the recently awarded grants have coding training and development projects, and as these are implemented the team will work to align and integrate these initiatives. By aggregating and aligning these training efforts, West Virginia will be better equipped to help provide new opportunities for those who want to be part of the growing innovation and tech economy. 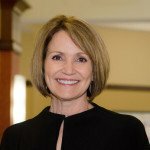 Anne Barth is executive director of TechConnect West Virginia, which is a statewide economic development organization dedicated to the advancement of science, technology and the innovation economy in West Virginia.